The Cincinnati Reds badly underestimated Jeff Montgomery and sent him to the Kansas City Royals for a middling prospect in August 1987. The Reds’ loss was the Royals’ gain and Montgomery proved it on the hill in the Show Me State. In 1993, the Ohioan appeared in 69 contests and saved 45 games with a 2.27 ERA. Montgomery, a member of the Kansas City Royals’ Hall of Fame, led the American League in saves and earned a spot on its All-Star squad that summer. Rod Beck was a standout closer throughout much of the 1990s. In fact, Beck was arguably a more effective reliever than Jeff Montgomery was for the Kansas City Royals in 1993. 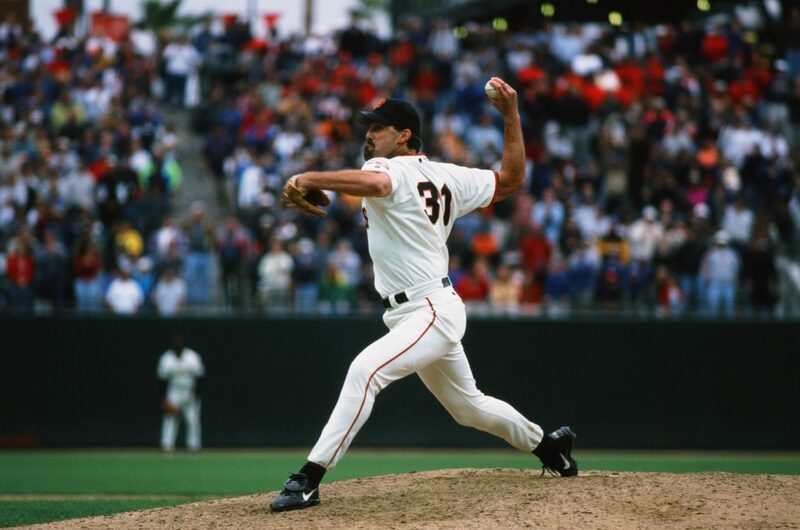 Nonetheless, during the strike-shortened 1994 season, “Shooter” was utterly brilliant out of the bullpen for the San Francisco Giants. In 48.2 innings, Beck saved 28 games and finished with a 2.77 ERA. Beck made his second consecutive All-Star team and procured the National League Rolaids Relief Man Award. 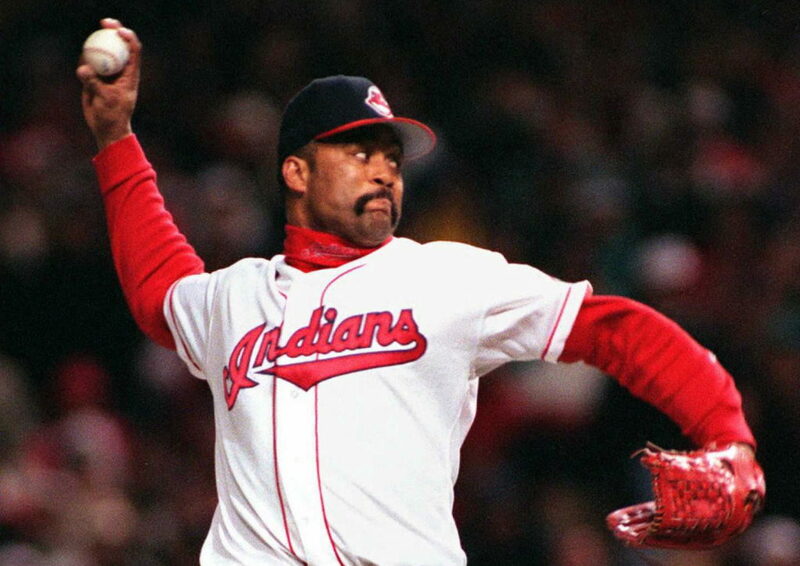 Regrettably, José Mesa will always be recalled as the Cleveland Indians’ pitcher who blew a one-run lead in the ninth inning of Game 7 of the 1997 World Series and cost the organization its first crown since 1948. However, in actuality, Mesa was a solid closer who dominated on the mound throughout 1995. In 62 appearances, the two-time All-Star recorded 46 saves and finished with a microscopic 1.13 ERA. Mesa topped the American League in saves and earned its Rolaids Relief Man Award. John Wetteland was an overpowering hurler for the Montreal Expos. Regrettably, the Major League Baseball players’ strike in 1994 essentially bankrupt the Expos. Consequently, the organization conducted a radical fire sale and unloaded most of its stars. One of those stars was Wetteland, who was traded to the New York Yankees on April 5, 1995. 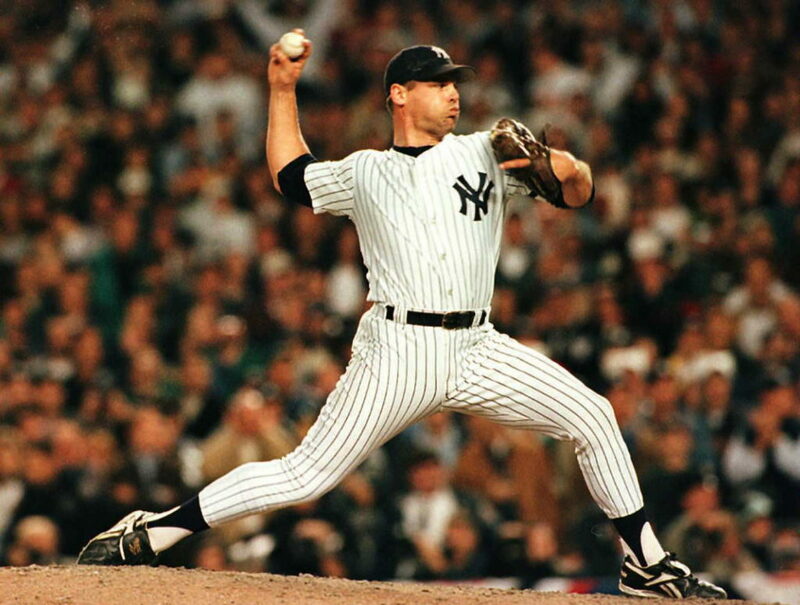 Although immediately effective in the Bronx, Wetteland truly prospered in his second year with the Yankees. In 1996, the burly right-hander fanned 69 batters in 63.2 innings and saved 43 games with a 2.83 ERA. To punctuate his stellar campaign on the hill, Wetteland procured World Series MVP honors shortly after the Yankees won the Commissioner’s Trophy on October 26. Randy Myers was a journeyman who produced for nearly every franchise that employed him. 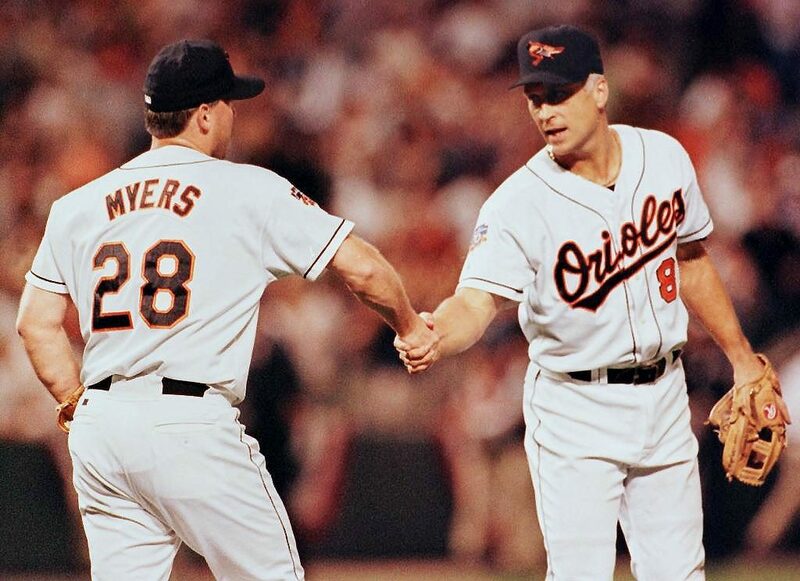 Following successful stints with the New York Mets, Cincinnati Reds, San Diego Padres and Chicago Cubs, Myers absolutely soared as a Baltimore Oriole in 1997. That season, the former “Nasty Boy” closed 46 games and logged a 1.51 ERA. Myers also topped the AL in saves, clinched the Rolaids Relief Man Award, and made his fourth and final All-Star squad. 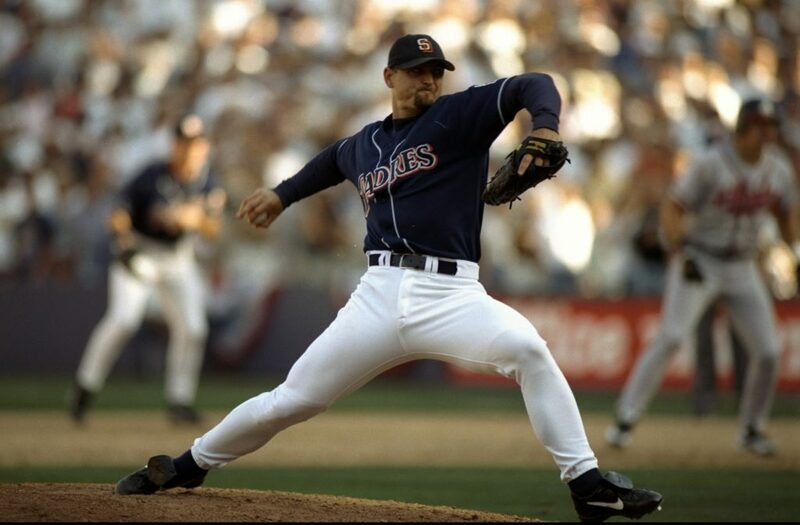 Trevor Hoffman is one of the preeminent closers in the annals of Major League Baseball. However, as a San Diego Padre in 1998, Hoffman peaked and was borderline unhittable. The seven-time All-Star whiffed 86 batters in 73.0 innings, had a 1.48 ERA, and saved 53 games. Hoffman, who won the National League Rolaids Relief Man Award in 1998 and 2006, was inducted into the Baseball Hall of Fame on July 29, 2018. 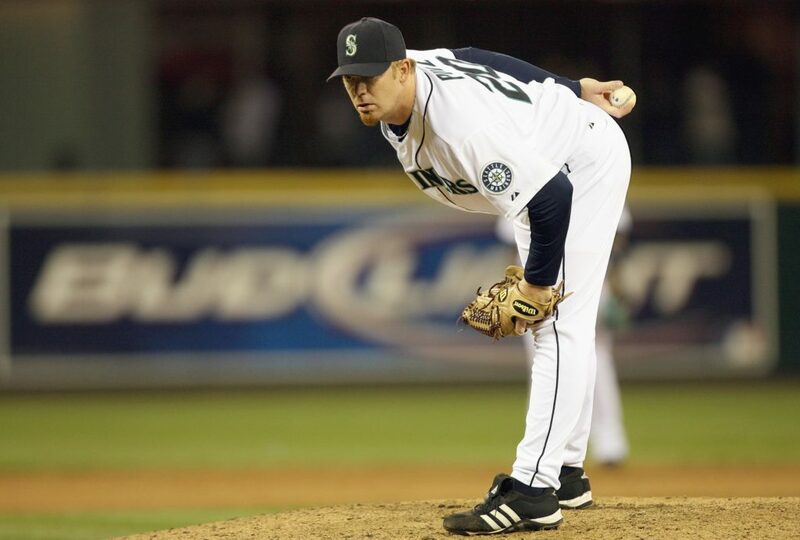 Billy Wagner was a strikeout machine who made seven All-Star squads and successfully saved 422 games over 15 years in the majors. 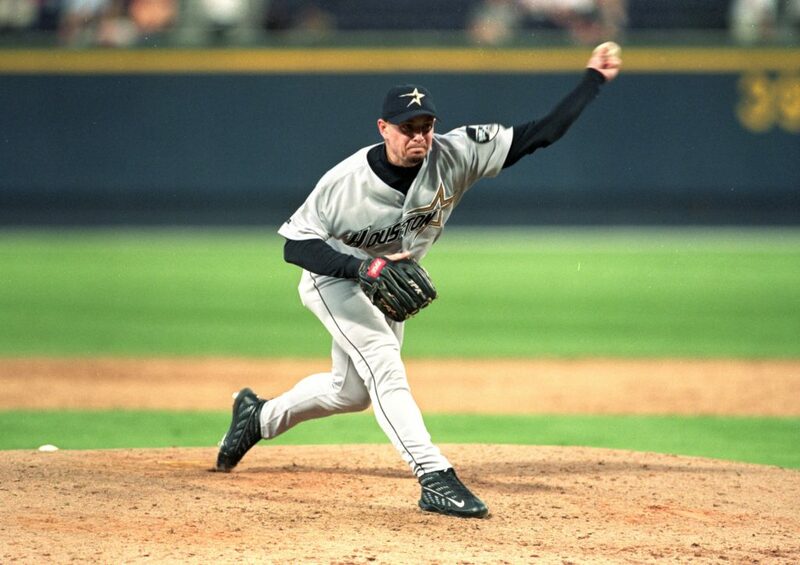 “Billy the Kid” was arguably at his best as a Houston Astro in 1999 when he went 4-1 with a 1.57 ERA. Perhaps more impressively, Wagner closed 39 games while fanning 124 batters in 74.2 innings. Wagner has a decent chance to become a permanent resident of Cooperstown, New York. Robb Nen was a superior reliever for the Florida Marlins and San Francisco Giants from the mid-1990s through the early 2000s. Nen was an especially colossal Giant in 2000 when he closed 41 games, posted a 1.50 ERA, and struck out 92 hitters in 66.0 innings. 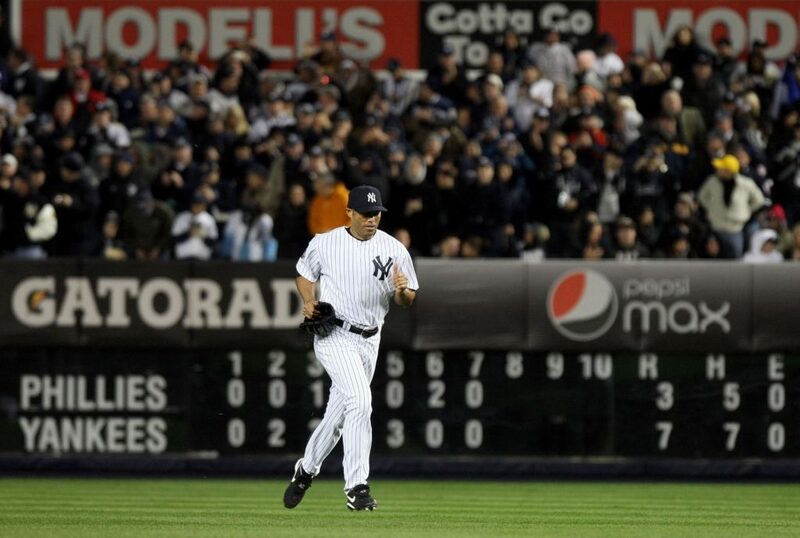 The three-time All-Star retired at the age of 32 after the 2002 season with 314 saves, 793 strikeouts and a 2.98 ERA. Although slim, Nen has an outside chance to become a Hall of Famer. 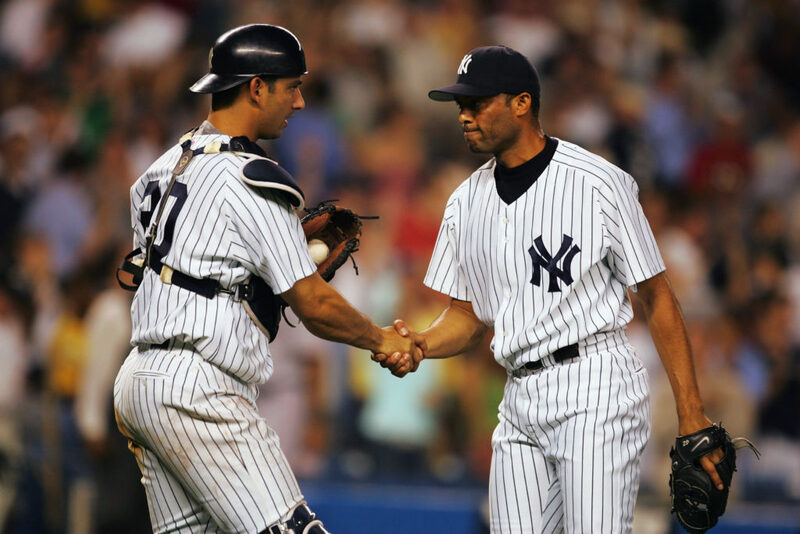 Mariano Rivera is almost universally regarded as the foremost closer in Major League Baseball history. Despite having, by his standards, a relatively mediocre campaign in 2001, Rivera remained a marvel on the mound. The 13-time All-Star saved 50 games to top the sport in that category for the second time. Rivera also had a solid 2.34 ERA and fanned 83 batters in 80.2 innings. Rivera’s efforts were recognized and he received his second American League Rolaids Relief Man Award. John Smoltz was frequently hailed as one of the game’s premier starting pitchers throughout much of the 1990s. Alas, in the late 1990s, Smoltz’s injuries mounted and he was forced to undergo Tommy John surgery in 2000. In 2002, the Atlanta Braves’ decision makers moved the 1996 National League Cy Young Award winner to the bullpen. 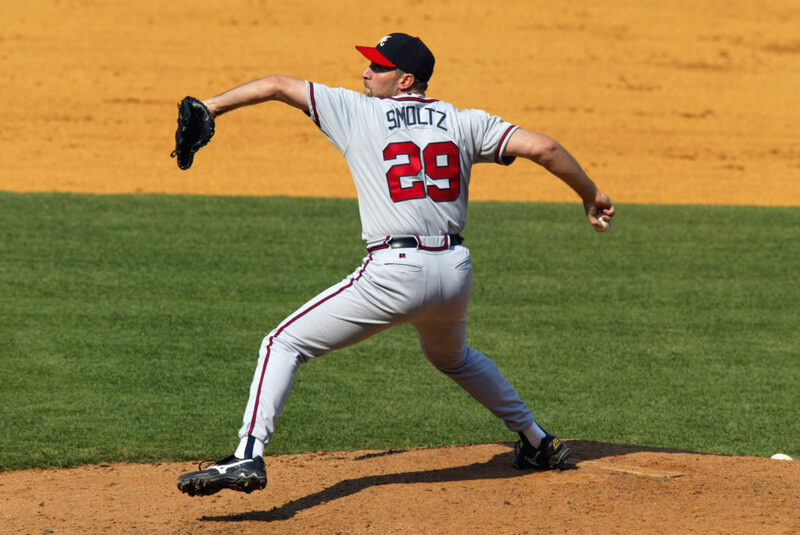 Smoltz thrived as a closer and saved 55 games and recorded 85 strikeouts over 80.1 innings during his first full season in that role. Smoltz was enshrined in the Hall of Fame on July 26, 2015. Granted, Éric Gagné was directly linked to performance-enhancing drugs. 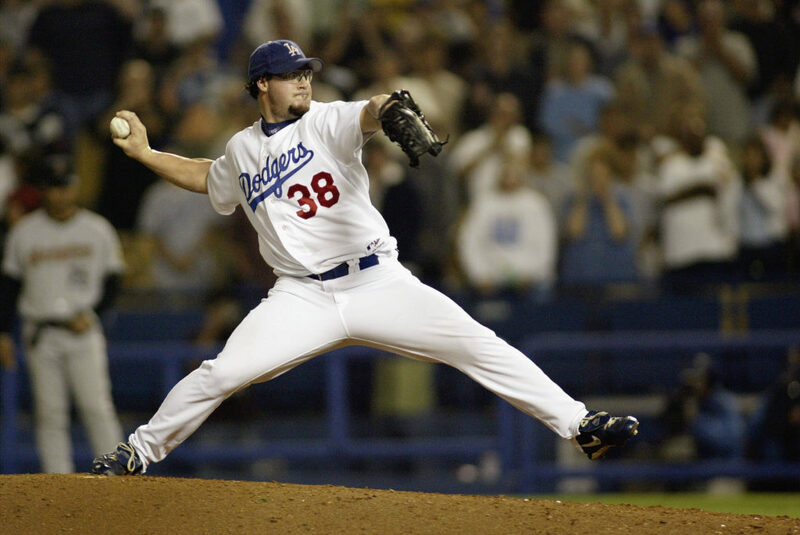 Nevertheless, with or without boosted testosterone levels, Gagné embarrassed hitters in 2003 for the Los Angeles Dodgers. The Canadian closer had a 1.20 ERA, saved 55 games, and whiffed 137 batters in 82.1 innings. Gagné’s mind-boggling statistics were acknowledged and, accordingly, he secured the National League Cy Young Award. Despite somewhat enabling the Boston Red Sox to exorcise the Curse of the Bambino, Mariano Rivera flourished throughout the 2004 regular season. Rivera went 4-2 with a 1.94 ERA and compiled a major league-leading 53 saves. For his prowess on the hill, “Sandman” obtained his third American League Rolaids Relief Man Award and earned an All-Star invitation for the sixth time. Rivera is a surefire first-ballot Hall of Famer. A year after blowing Game 4 and Game 5 in the ALCS against the Boston Red Sox, Mariano Rivera rebounded and enjoyed arguably the most dominant season of his illustrious 19-year career. Rivera saved 43 games and went 7-4 with a 1.38 ERA. Furthermore, “Sandman” fanned 80 batters over 78.1 innings. Rivera clinched his second consecutive American League Rolaids Relief Man Award and collected his first Delivery Man of the Year trophy. Francisco Rodriguez was a nasty Los Angeles Angel of Anaheim in 2006. Rodriguez saved an American League-leading 47 games and finished with a stellar 1.73 ERA. Moreover, K-Rod whiffed an eye-popping 98 hitters over 73.0 innings. For his vast feats, Rodriguez procured his first AL Rolaids Relief Man Award. J. J. Putz owned the plate as a Seattle Mariner in 2007. Putz saved 40 games and went 6-1 with a microscopic 1.38 ERA. The 2007 All-Star also compiled 82 strikeouts, and only yielded 37 hits, over 71.2 innings. Putz easily collected that season’s American League Rolaids Relief Man Award. Brad Lidge was an invaluable member of the Philadelphia Phillies’ 2008 World Series championship squad. That season, Lidge closed 41 games, went 2-0, and finished with a 1.95 ERA. The two-time All-Star also fanned 92 batters over 69.1 innings. Lidge received Delivery Man of the Year accolades and won the National League Comeback Player of the Year and its Rolaids Relief Man Award. Predictably, as history’s most celebrated closer, Mariano Rivera is featured often on this list. In 2009, Rivera had a 1.76 ERA and he closed 44 games for the Yankees’ most recent championship squad. Moreover, “Sandman” fanned 72 batters in 66.1 innings. Rivera’s customary excellence wasn’t overlooked and he collected the American League Rolaids Relief Man Award and Delivery Man of the Year trophy. 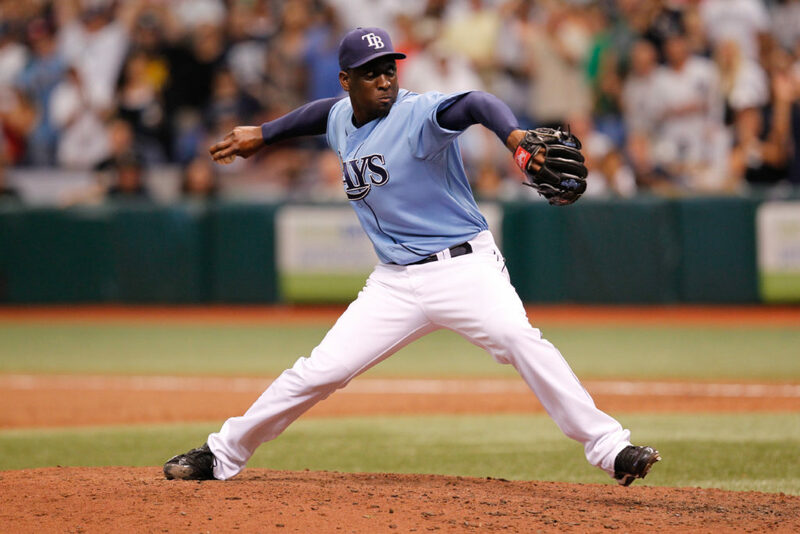 Rafael Soriano was a productive journeyman who prospered in 2010 as a Tampa Bay Ray. In his breakout season, Soriano finished with a 1.73 ERA and he topped the American League with 45 saves. Soriano earned a spot on the AL All-Star squad that summer and gained the Rolaids Relief Man Award. Soriano retired as a Chicago Cub at the age of 35 in July 2015. 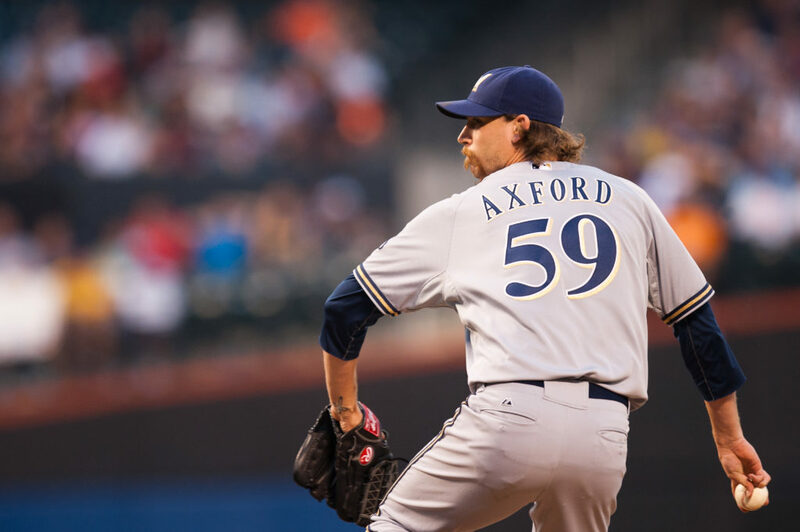 John Axford has had a topsy-turvy career as a professional. When good, Axford has been one of the sport’s most effective relievers. When bad, “The Ax Man” has been utterly shellacked on the hill. In 2011, Axford shined as a Milwaukee Brewer and saved a National League-leading 46 games with a 1.95 ERA. Axford, who also amassed 86 strikeouts in 73.2 innings, gained the Senior Circuit’s Rolaids Relief Man Award. 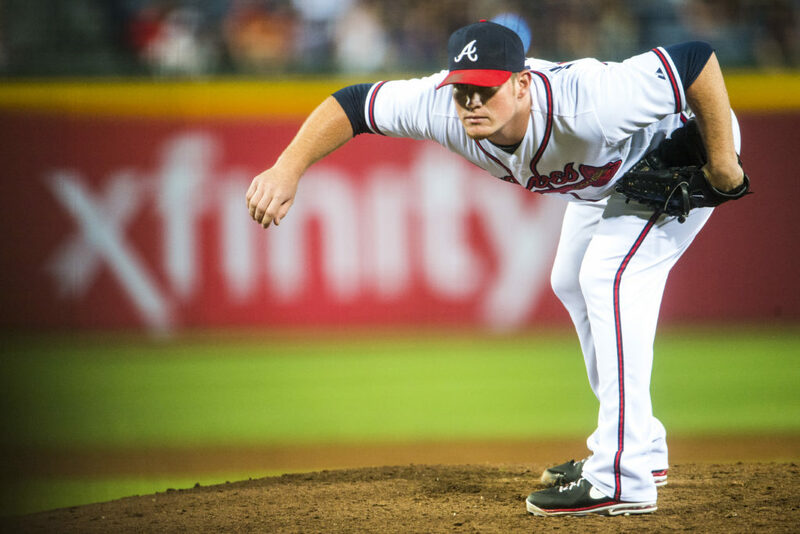 Craig Kimbrel chopped down hitters as an Atlanta Brave in 2012. 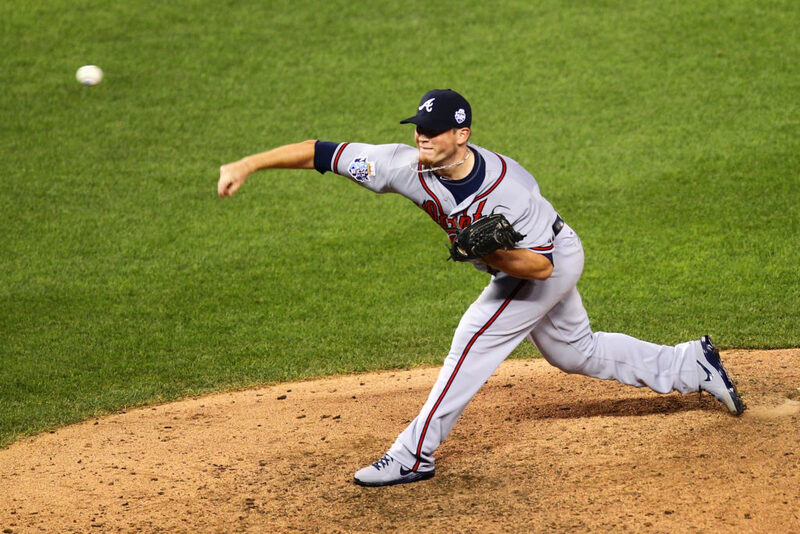 Kimbrel closed a National League-leading 42 games and had a virtually nonexistent 1.01 ERA. Perhaps more spectacularly, the seven-time All-Star whiffed 116 batters over a mere 62.2 innings. The 30-year-old Kimbrel remains a force and he may ultimately achieve a spot in the Hall of Fame. Incredibly, Craig Kimbrel’s statistics in 2013 nearly mirrored the ones he recorded the previous year. Kimbrel saved a Senior Circuit-leading 50 games and recorded a miniscule 1.21 ERA. Yet again, the two-time Reliever of the Year owned the plate and he fanned 98 hitters over 67.0 innings. For freezing opposing lineups in Hotlanta, Kimbrel clinched Delivery Man of the Year honors and made his third consecutive All-Star team. 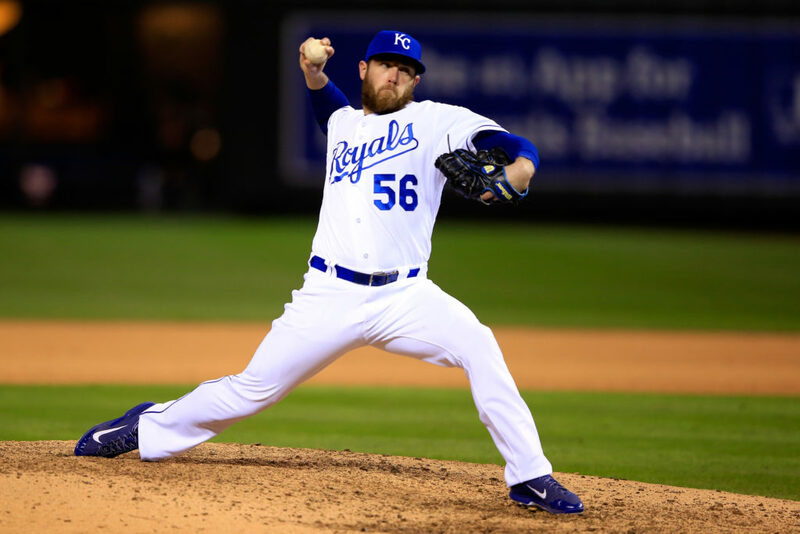 Greg Holland turned opposing lineups blue as a Kansas City Royal in 2014. That season, Holland saved 46 games and posted a microscopic 1.44 ERA. 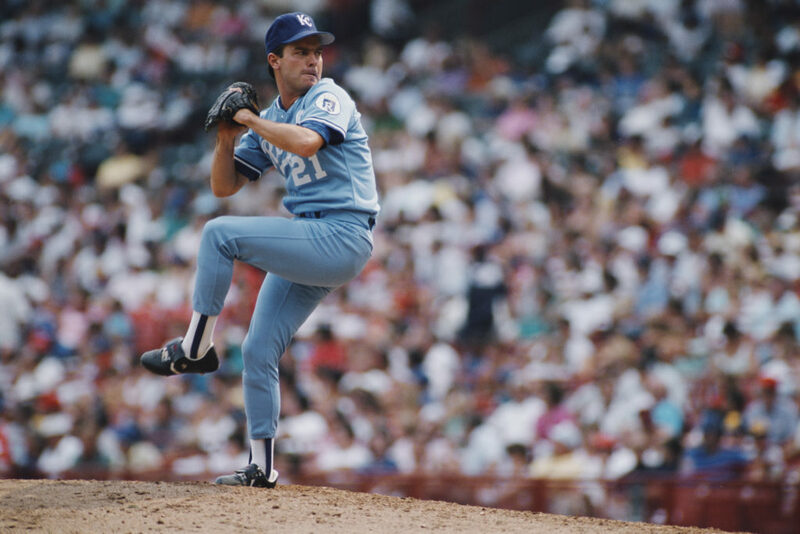 The North Carolinian also recorded 90 strikeouts over 62.1 innings. Holland made his second consecutive All-Star team and was named the American League Reliever of the Year. Andrew Miller was a badass in the Bronx. The Yankees signed the 6-foot-7, 205-pound Miller to a four-year contract worth $36 million on December 5, 2014. The towering southpaw proceeded to save 36 games, go 3-2, and log a 2.04 ERA. Miller also struck out 100 batters over 61.2 innings. 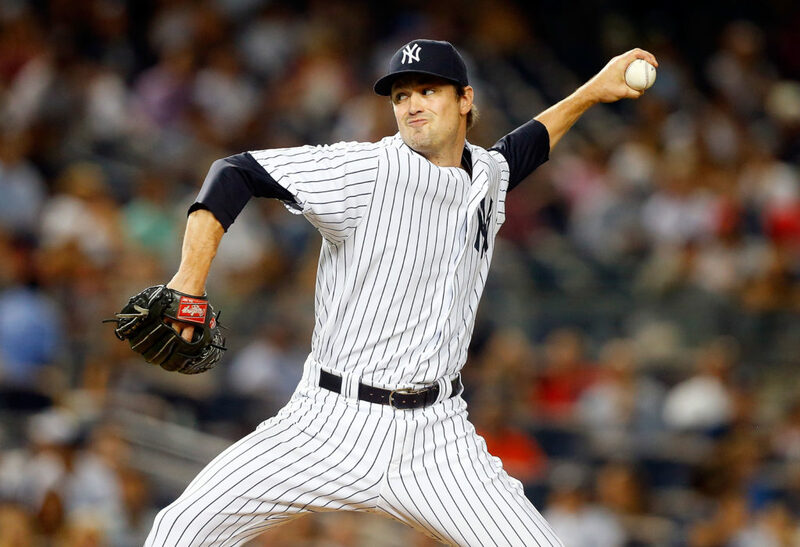 For his vast feats in pinstripes, Miller was named the American League Reliever of the Year. 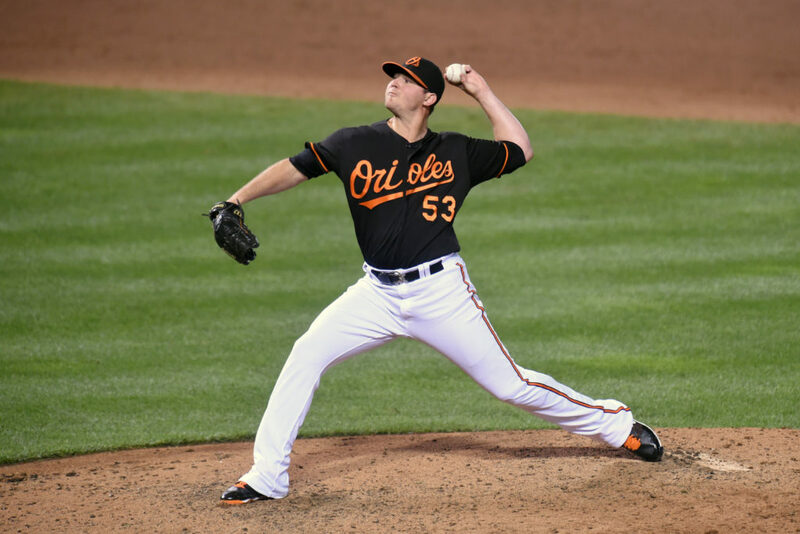 Zach Britton was simply phenomenal as a Baltimore Oriole in 2016. Britton closed an American League-leading 47 games and finished with a minute 0.54 ERA. Moreover, the lefty fanned 74 hitters over 67.0 innings. Britton earned another All-Star appearance and secured American League Reliever of the Year accolades. Los Angeles Dodgers star reliever Kenley Jansen overwhelmed opponents out of the bullpen in 2017. The 6-foot-5, 275-pound Jansen went 5-0, posted a 1.32 ERA, and saved a National League-leading 41 games. Furthermore, the hulking hurler whiffed 109 batters over 68.1 innings. 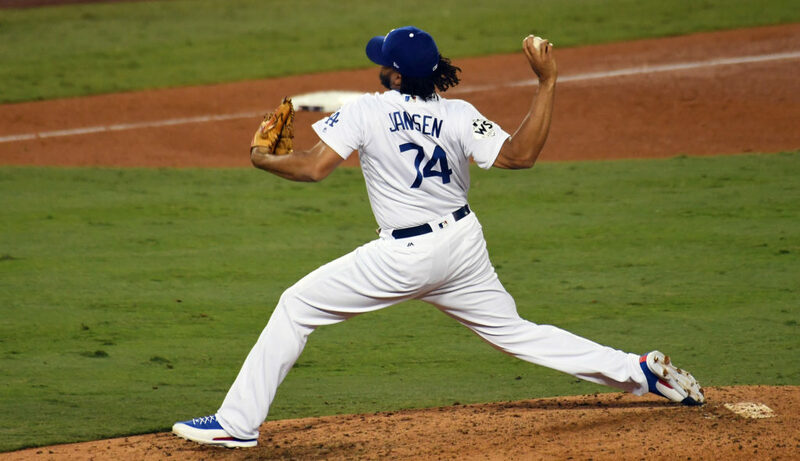 The 30-year-old Jansen, who procured National League Reliever of the Year honors, is in the midst of enjoying another dominant campaign on the hill in La La Land.